I began making tobacco pipes when a friend plopped a pipe kit down in front of my and challenged me to make myself a pipe. I’ve made several since them, some on commission and some for sale to the public. To purchase one of my pipes, see my Etsy shop. This “battle axe” churchwarden features natural plateaux top and an extra-deep tobacco chamber. This diamond-shank billiard has metal inlay to fill a small void in the wood. 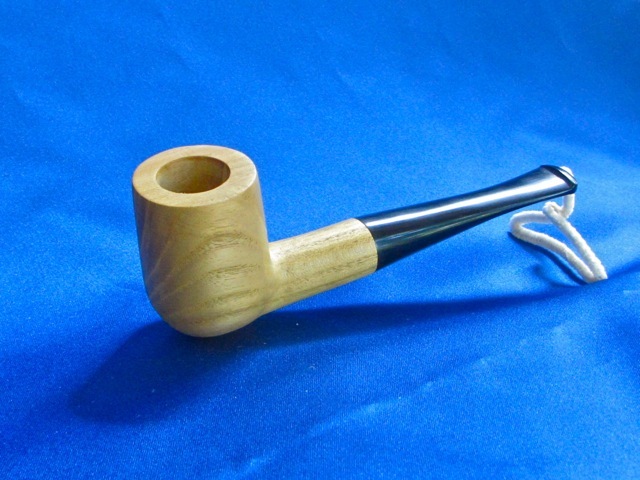 This pipe is a classic billiard shape, but it is made from osage orange wood (sometimes called bois d’arc or bodark). It should smoke just about as well as a similar briar pipe. 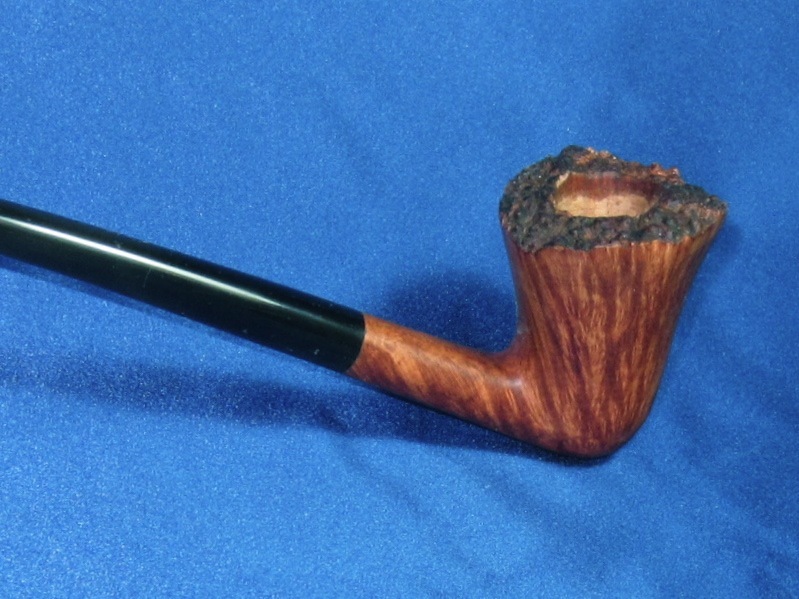 This briar pipe features a subtly rusticated surface, and it is dyed black. 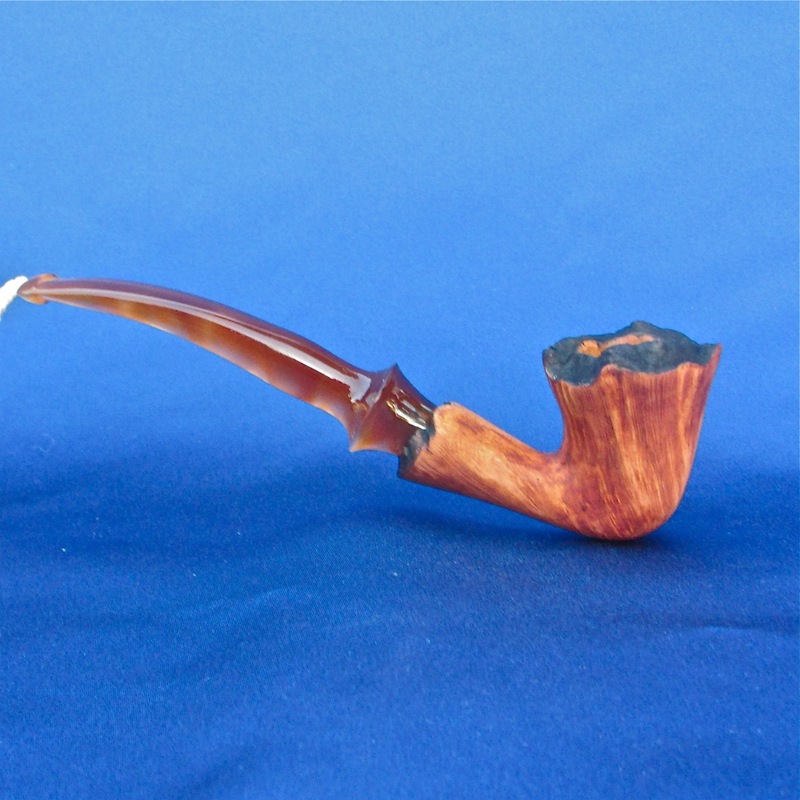 I called this churchwarden the “wildfire.” It sold pretty quickly. This is a variation on the classic Dublin shape. It is made of plateaux briar and has a lucite stem. 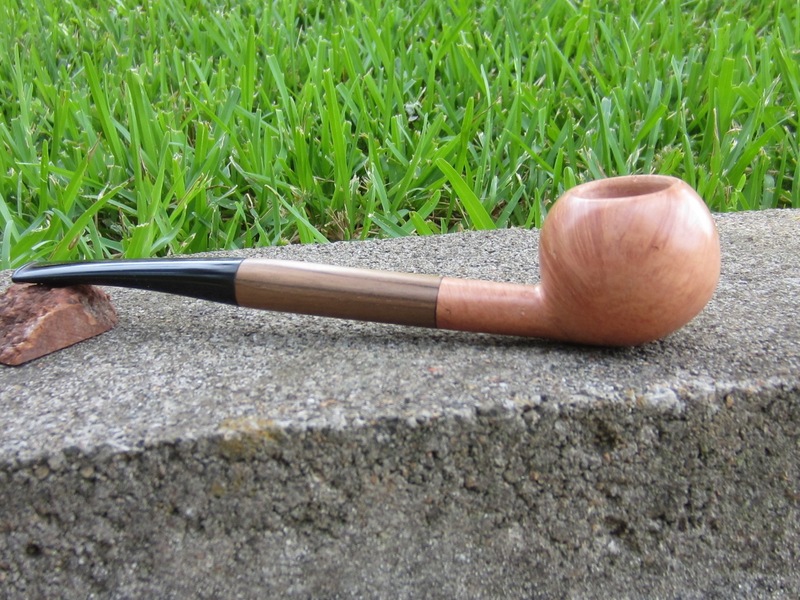 A plateaux briar churchwarden with a natural texture on the top. It has a very deep tobacco chamber. On this pipe, I was challenged to make the shank at least twice as long as the bowl was tall, so I added a walnut shank extension. It reflects the shape of the bowl, which I think looks a little like an un-shucked walnut. 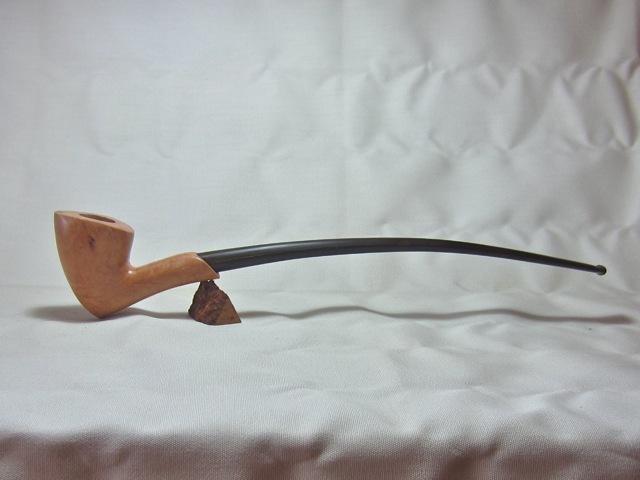 Inspired by the arches in Medieval cathedrals, this churchwarden is called the Gothic. 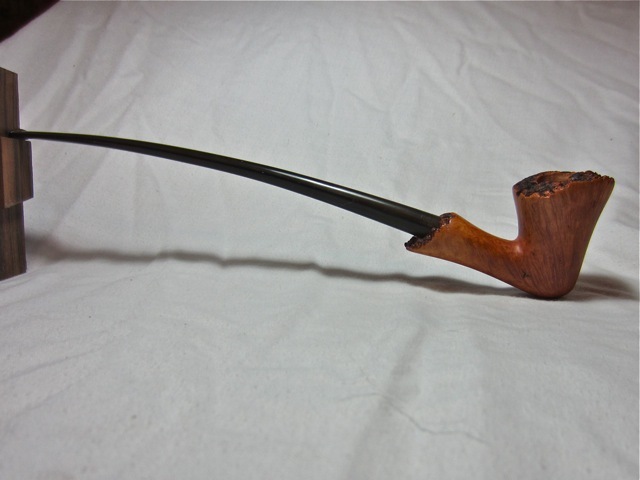 A freehand churchwarden made from plateaux briar. If you would like me to make you a pipe, e-mail me at the address on the “About” page. 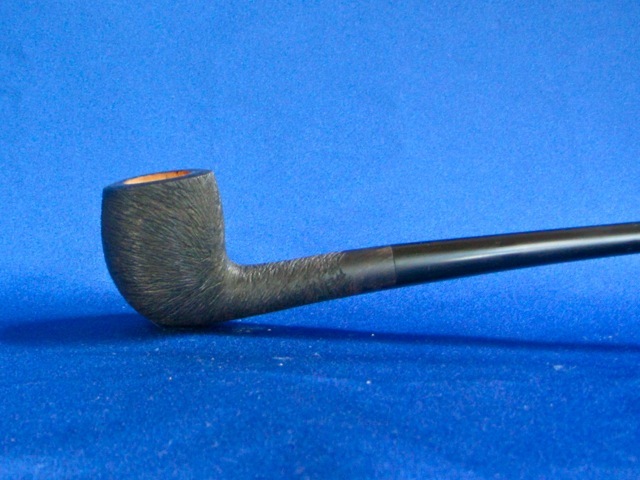 Many people who buy my pipes–especially the churchwardens–are just getting into pipe smoking. 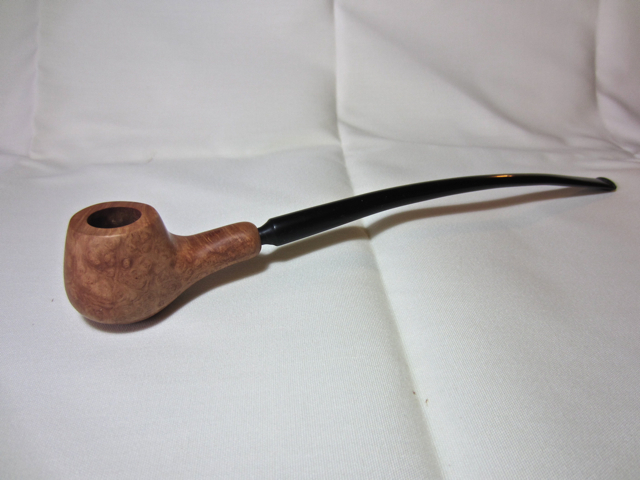 Here are some pointers on successful pipe smoking, especially with churchwardens. The best way to break in a pipe is just to smoke it. Some people like to apply a very thin layer of honey to the bowl of a new pipe in order to build the “cake” faster–the cake is the thin layer of char that builds up on the inside of the bowl after a few smokes. Cake built that way can be somewhat fragile, and anyway, I don’t think it’s necessary. Just smoking the pipe will build a fine cake all on its own. Like smoking cigars (and unlike smoking cigarettes), pipe smoke should be taken into the mouth only, not the lungs. Figuring out how to pack a pipe can be tricky. 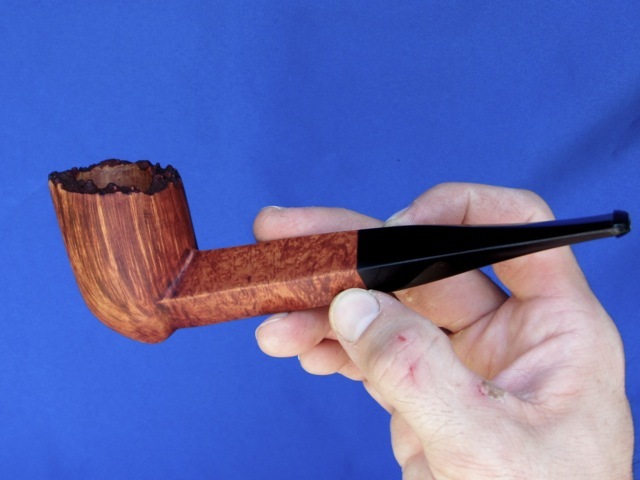 You want the tobacco to be very loose at the bottom of the bowl but pinched fairly tightly at the top. When you draw air through the stem, there should be just a little resistance. If it’s hard to draw, you’ve packed too tightly. If there’s no resistance at all, you’ve packed too loosely. The first time you light the tobacco, it may go out quickly, and that’s okay. Just re-light and puff slowly to get the tobacco smoldering. Churchwardens can be a little more difficult to keep lit than shorter pipes, so be patient with your first few bowls as you learn exactly how the pipe smokes–how frequently to puff, and how hard, in order to keep it lit. It’s not uncommon to re-light two or three times. You may find a tamper helpful in keeping the fire going. A golf tee makes a pretty good tamper in a pinch. Once you’re done smoking one bowl, set the pipe aside to cool completely before refilling and smoking it again. Every few bowls, use a pipe cleaner to keep the airway clean and free of ash. Should you need to do a thorough cleaning, the stem is detachable; just twist and pull gently, and it should come right out. You can wipe excess ash out of the bowl with clean cloth. With occasional cleaning and gentle handling, a good pipe should last many years. Where do you get your stems? I’ve gotten some from Mark Tinsky at American Smoking Pipe, and I’ve gotten others from J. H. Lowe. You can find both suppliers online. Is there a difference between a shire and a church warden ? “Shire” is my own Tolkien-inspired name for a churchwarden. It’s not part of standard pipe nomenclature.